Boston Massachusetts is a wonderful mix of history and modernity, accompanied by fantastic food, diverse neighbourhoods and great shopping. I cannot put into words how pretty, welcoming and damn right special Boston is so instead I compiled a list of all the major attractions you can fit into 24 hours. A trip on the Boston Trolley is value for time and money. For $36 you get a two day ticket to hop on and off 19 stops all over Boston and neighbouring Cambridge and Charlestown as well as a free ticket to the Boston Tea Party Ships and Museum. It takes 1hr and 50 minutes for a complete loop without getting off, during which a conductor will bestow their knowledge of Boston on you. It truly is the best way to get a feel for the city whilst allowing you the flexibility to visit some of the best spots Boston has to offer. If like me, you enjoy learning about the history of a city than the Freedom trail is a must for you. The trail itself is 2.5 miles long featuring 16 landmarks that shaped the American Revolution, including the oldest surviving building in Boston; the Old State House. There are two ways to tackle the trail. Firstly, you can do it yourself and follow the Red Line with a map and guide or I recommend, paying $12 for a Public tour ticket and choose the Walk into History Tour. There are 5 tours to choose from and this ticket allows you to choose from any tour on any day. They depart at various times throughout the day and from the Boston Common Information Center. Built in 1826, Quincy Market is a hub of world cuisine, street entertainment and bars. If you are in the mood to try a Boston staple, Boston Chowda has been voted the best place for Chowder in the city, or Walrus and the Carpenter is rated as one of the best Oyster bars. Situated Downtown it's in the perfect location to stop for a quick bite to eat along the Freedom Trail or after the Boston Trolley. 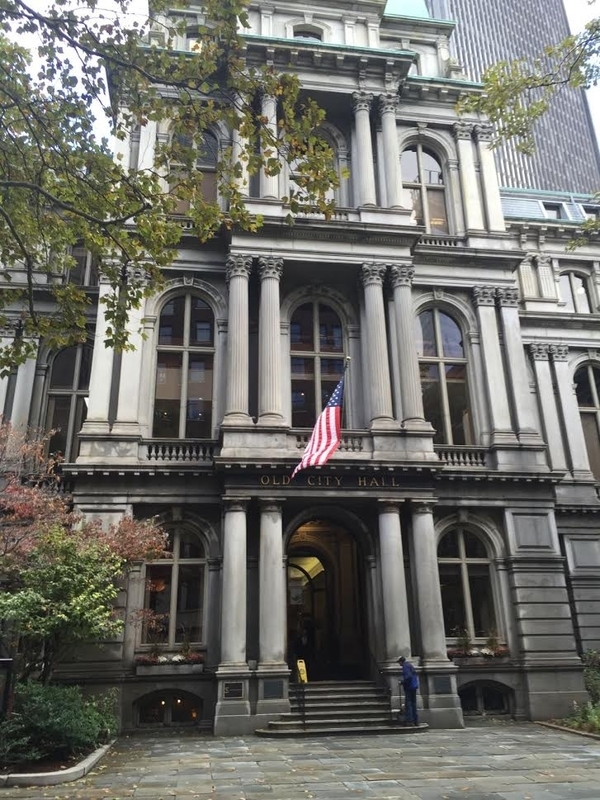 Beacon Hill is a protected Historic District of Colonial Boston, the neighbourhood is quaint, charming and idyllic. It feels like you are stepping back to Colonial Boston, brick row houses lined with brick sidewalks and gaslights that are lit day and night. Charles Street is home to Restaurants, Antique and Coffee Shops. Get your Camera ready and snap away. No matter what time of year you plan on visiting Boston, you must take a stroll and admire these beautiful public spaces. Boston Common and Public Gardens are located in the middle of the city, so quite hard to miss. The Common has been part of the Revolutionary History and if you would like to know more here is a map and guide. The Gardens are particularly impressive with a huge lake which you can hire swan boats in the Spring and Summer, check out the Make Way for the Ducklings statues as well as the friendly Squirrels that inhabit the area. The oldest residential neighbourhood, full of history and home to Paul Revere's House, Old North Church, oh and it's Boston's answer to NYC's Little Italy. Join the queue at cash-only Giacomo's, get the best slice of pizza in Boston at Regina Pizzeria or if you are stopping at Paul Revere's house, Limoncello is opposite serving authentic Italian dishes. 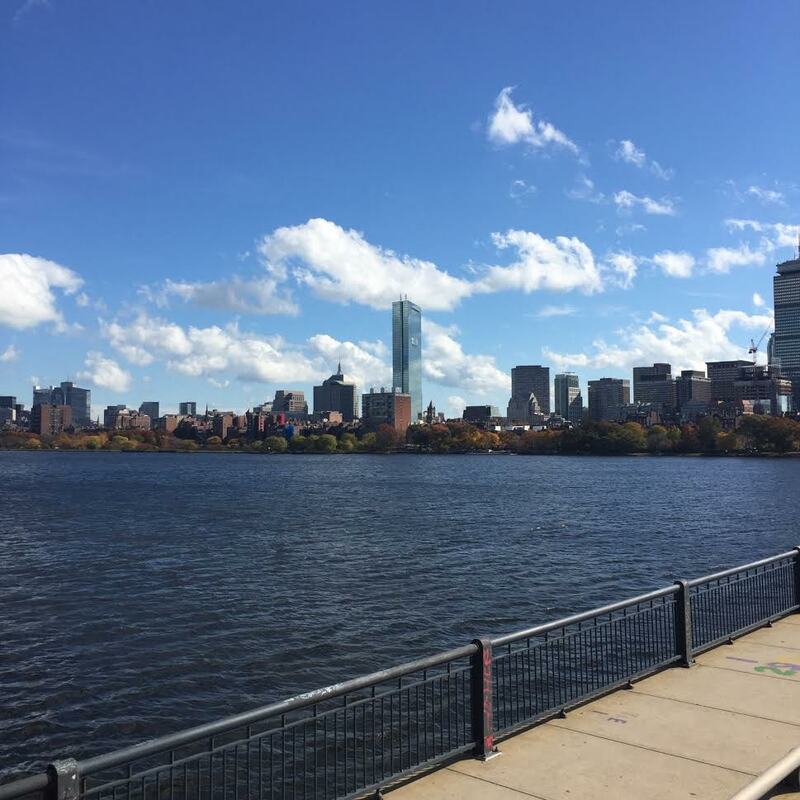 Head over the Charles River to Cambridge a vibrant, artsy, diverse area which has many Squares to explore. It is home to two of the most influential and famous Universities in the world; Harvard and MIT. If you are lucky to have a sunny day, a stroll around Cambridge is 100% worth your time. The Squares are full of Coffee shops, Bakeries, Boutique shops, Bars and Restaurants. You can take a tour around Harvard University too, which I recommend; it is absolutely stunning and reminds me of Oxford and Cambridge Universities. Go to the Harvard Information Centre and book a tour, they depart hourly (bar 2pm) from 10 am - 3pm. Boston is home to many Major League Sports Teams playing at different times of the year so when visiting, get into the Boston Spirit and support a local team. Boston Red Sox Baseball team play at the historic Fenway Park. Boston Bruins Hockey and Boston Celtics Basketball Teams play at TD Garden which is in the North End area of Boston. The Super Bowl Champions, New England Patriots' Gillette Stadium is based around 30 minutes outside of Boston but if you do have the opportunity to see Brady and the gang, do it! Now, I know not everyone likes shopping, especially when there is so much culture to soak up but in Boston it is different. It is worth a walk as the area is characterised by the typical brownstone buildings and wide avenues, be sure to visit Commonwealth Avenue which is based on Parisian Boulevards. All shopping is located within 8 blocks between the Public Gardens and Massachusetts Avenue. Luxury Brands can be found nearer the Public Gardens end at Newbury Street as you walk further along to Massachusetts Avenue the shops become more affordable. Check out the best deals and book your trip now! I hope you find this Quick Guide to Boston useful. Anything we missed? Let us know below. Thank you! Be sure to check your emails weekly for more Travel Inspiration. Like what you see? Share it with the others.